Bonnie Duff, a former Senior Theatre Troupe member and AU alumna, started her BA at UBC this fall. 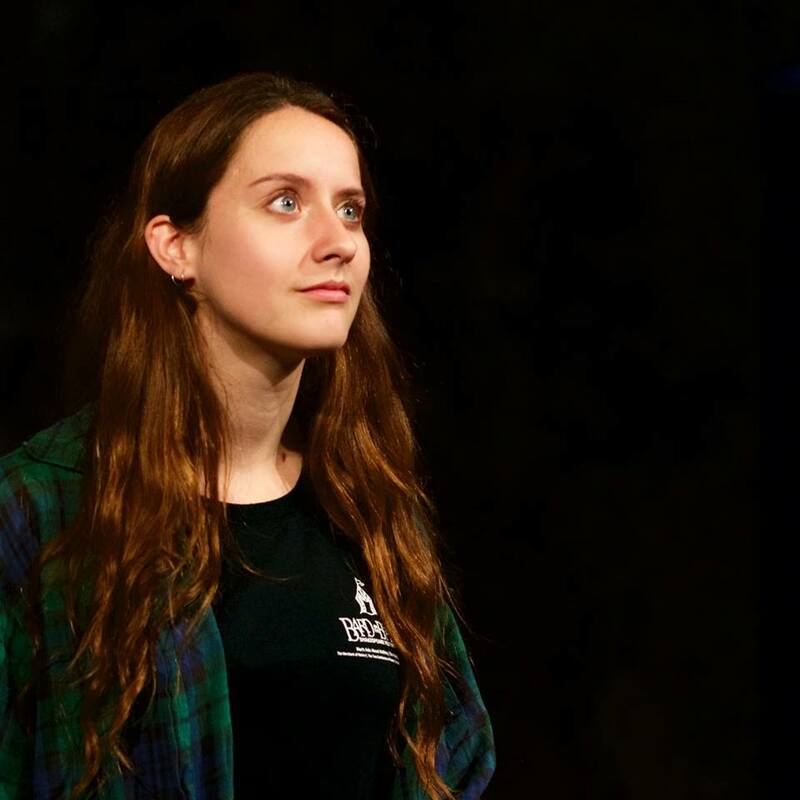 During a gap year, not only did she travel to London for an acting program, she also spent her summer soaking up as much theatre experience as possible. A busy year? Sure, but for Duff, it’s what she lives for. We talked about three projects she was a part of and why she wants to be an actor. Eternal Theatre Collective is run entirely by youth between the ages of 13 and 25 — from design and creative to stage management, production, directing, and acting. Duff, whose experience has typically been on the acting side of theatre, took on a different role for 13: The Musical: production manager. Laura Reynolds, who’s spearheading this project, contacted me. In February, we were talking about this musical, which was going to be playing at the Revue Stage in August. I told her if she ever needed a hand, even with the admin side of things, to call me up. About a month later, she called and told me she had a job for me if I was willing to come on board for the project, but it’s a giant one. She asked if I could be the production manager. How do you find being on the other side of the curtain in an important position? The project is a bit of a different thing for me because I’m usually on the acting side rather than the organizational and administrative side. Learning a sense of professionalism and what a professional standard is, that was entirely learned through Arts Umbrella. I feel like at Arts Umbrella, they held us to a standard of professionalism that was challenging for a 13-year-old. It certainly set me on a track. For this project I’ve been emailing or calling people, communicating with the theatre and media, and then I meet with them. And they say, ‘Oh, you’re 18?’ I recognize that it’s a lot for a young company and person to be doing. I feel like I got a lot of that confidence from Arts Umbrella. There are probably about six or seven [people] involved in the production who were at one time or another involved at Arts Umbrella, and that’s how we all met. Our choreographer was in the Musical Theatre Troupe so that’s how we were able to connect with her. It seems like Arts Umbrella has played a big part in building a community. Frankly, I’m not sure how well the show would have come together if it weren’t for AU. Two of the leads in the show are from Arts Umbrella. Our choreographer is from Arts Umbrella. Our publicity manager is from Arts Umbrella. The whole show is really coming together because we all met through Arts Umbrella. So was it all a breeze? It was a little bit overwhelming. This is going to sound silly and naive, but I don’t think I realized how much goes into a musical. Starting from the beginning, there were so many people to find. The tech people, lighting, sound, stage management, costume, props, everything. Then there was contacting the theatre and then the casting process — which was super interesting as a performer, to sit on the other side of the table. And then coordinating the whole rehearsal process, with locations and scheduling between the 14 cast members. I’ve also been running the production meetings, keeping people on schedule and meeting their deadlines, keeping people on budget. Coordinating between props and costumes and between lights and sound and the needs of the director. But you managed it all. With Arts Umbrella in the Senior Troupe, when we would go on tour we were on various committees. We had to set up our own tech, lights, and what not. I was on the lighting crew my first year and then on the set crew the next year. Getting experience in all of those areas has certainly been helpful. Has the production management experience provided insight into what you might study at UBC? I think in Vancouver, to be a theatre artist, it’s unreasonable to expect that you could just be an actor. There’s just not enough work for somebody to just perform in theatre and make a living out of that. To be able to know how to produce your own stuff and to make that happen is really critical to being able to ‘make it’ and have work to do in this city. Riotous Youth is a paid post-secondary internship program with Bard on Beach. 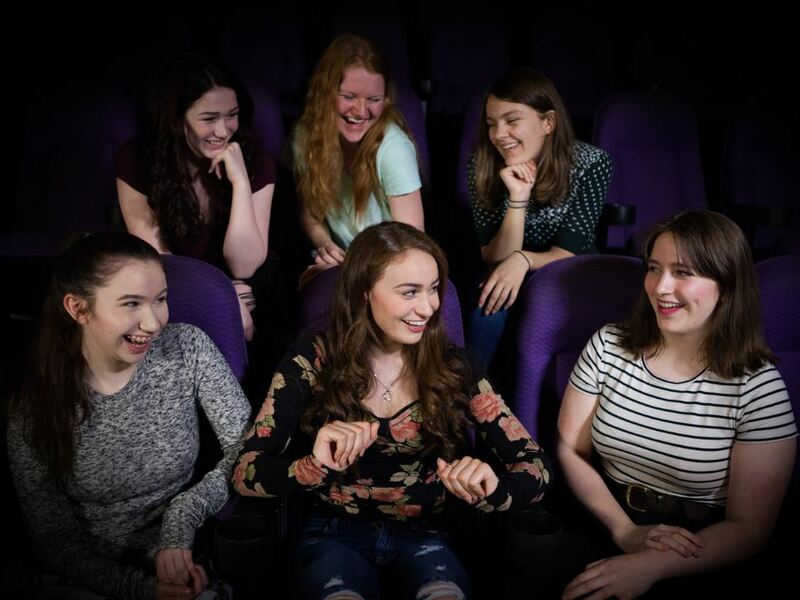 Designed for young people either beginning or considering a career in theatre, the program combines training and experience in teaching artistry, Shakespeare performance, public speaking and leadership. Tell us about your experience with the internship. We’ve been working on this piece that intersperses what Shakespeare is and how we can make it more accessible. We each work with one of the Young Shakesperian camps as a teaching artist-in-training. And then also doing the pre-show talks at Bard, talking about what the show and answering questions, especially for people who are less familiar with Shakespeare or are coming to Bard for the first time. People from various parts of Bard on the Beach, like from the admin side, and the choreographer for the professional shows have done these workshops with us. It’s been very interesting learning about how the professional world works directly from the professionals in the industry. The program has only been around for a few years now. Has it evolved to give each cohort what they need? The education department at Bard made it clear to us early on that because it is a very young program, they really welcome feedback about what we want to get out of it and what kind of work we want to be doing. It’s evolved in the sense of bridging the gap. It was originally marketed as a paid post-secondary internship, but I think they’re trying to walk the line and figure out how we can best fit in there, to be part of the BotB Company and actually be useful, but also getting valuable experience to lead us into careers or university. The workshops have been really useful. The director for our project, Shakesperience, is Jeff Gladstone, who has been an actor with the company. It’s been a very interesting process, putting into practice everything I know about Shakespeare, and everything I think I know about Shakespeare and actually putting it into a show that combines our own experience with education. As part of Vancouver Fringe Festival this year, Duff played Mia, an eating disorder personified. 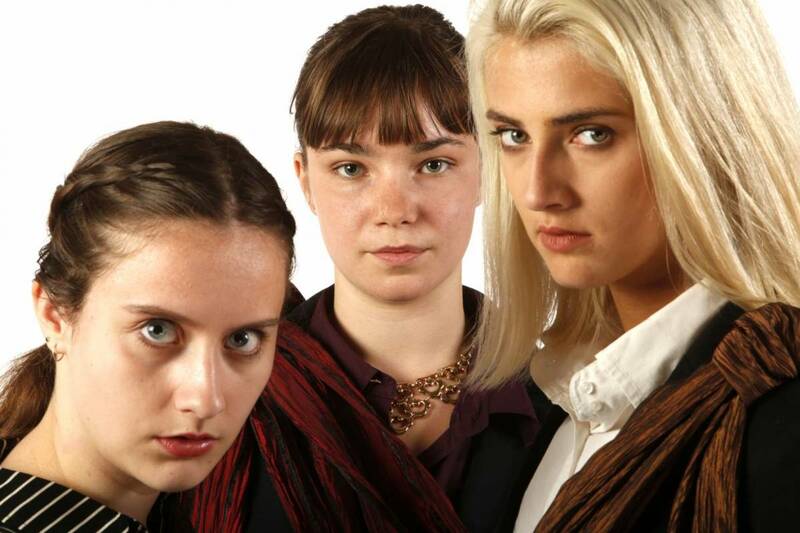 The play, written by Tai Amy Grauman, tells the true-life story of Tai’s childhood friend, Mary, who died in a car crash at 15, following a devastating struggle with anorexia. At Come Together in March last year at Arts Umbrella, I was performing as an alumni. Seamus Fera and a friend of his from UBC, [Grauman], just graduated together from the UBC BFA program. They told me it’s a four-woman show and that I should audition for it. I’ve known Seamus for years. He’s four or five years older than me so we were never actually in the same troupe at the same time, but he’s always been on the periphery of my life so we got to be fairly good friends, and he’s been a good source for telling me what the next stage of life is going to be like. He gave me the contact information for it, and I auditioned in April or May and they cast me. Is it different working on a show with just four cast-members? There’s an element of intimacy that’s built between a cast and audience when it’s a smaller scale production. I think there’s a different comradery between cast members in a small production. In Her Name Was Mary, there’s just the playwright, whose also directing, there’s Seamus who’s producing it, we have a stage manager, and one tech person. All in all, there’s no more than 10 of us putting the whole things together. So that’ll be interesting because a lot of it is DYI, which is the Fringe vibe. Tell us about the role. A big thing it explores is the kind of obsessive relationships that teen girls have with each other and with their own personal inner demons. You see them through the ages of 10 to 15, and how much they change, and how much they feed each other’s demons. And how wonderful a support system they have for each other, but also not great sometimes. I’ve found it interesting to explore how human my character is. How much of it is literally a personification of an eating disorder, and how much of it is an actual human. To read more about the production, read our interview with producer Seamus Fera. I always really liked performing, ever since I was really little. Frankly, when I was little I just really enjoyed being the centre of attention, but then it evolved into this really interesting thing of exploring different stories. For a long time I thought acting was just fun; everybody talks about how terribly difficult it is to make a living or create a career in the arts and I didn’t think I would keep it going. I had a conversation with Andy Toth, the director of the musical theatre troupe at Arts Umbrella, and now the conservatory program. He’s one of the single most important people in my journey as an artist and my development as a human being. I said to him, ‘people always say if you can’t imagine yourself doing anything else besides acting and the arts, then you should do it.’ And I doubted I could make a life out of it or that it was what I wanted to be doing. And he said something about the people who don’t doubt anything, who believe they’re going to be a great actor and going to jump right in. He said he worries about those people more because doubt can actually serve you, so you explore all sorts of different things. And if you still keep coming back to theatre, and you keep coming back to this art that you do love, maybe that’s something to take to heart. Did Arts Umbrella help you make that decision? I think the really interesting thing, specifically about the Theatre Troupe program, is that they treat us and guide us in a way as if we’re all wanting to pursue [acting], but not everybody is. Nobody ever asked if I was planning on being an actor. At least a three quarters of the people I’ve known through Arts Umbrella did not go on to become performers or actors. But the level of professionalism and immersive experience and what it could mean to be in the arts — this is what it’s like. Which is so helpful. It makes some people realize that perhaps they’re best suited somewhere else; maybe I’m best suited somewhere else in theatre; maybe I’m better suited backstage in tech; or maybe it’s just not for me. That’s just as valuable a realization as I really want to do this.